Video format: RM, RMVB, AVI, DIVX, MKV, MOV. Video decoding formats: RM, RMVB, AVI, DIVX, MKV, MOV, HDMOV, MP4, M4V, PMP, AVC, FLV, VOB, MPG, DAT, MPEG, TS, TP, M2TS, WMV, (H.264,H.263,WMV9/VC-1,MPEG1/2/4). Video format: RM, RMVB, AVI, DIVX, MKV, MOV. Video format: RM, RMVB, AVI, DIVX, MKV, MOV, HDMOV, MP4, M4V, PMP, AVC, FLV, VOB, MPG, DAT, MPEG, TS, TP, M2TS, WMV (H.264, H.263, WMV9/VC-1, MPEG1/2/4). Video System: CVBS (PAL/NTSC), YPbPr (720P), HDMI(1080P). Want to start streaming?. then start here. Our next generation player is now 5x more powerful. 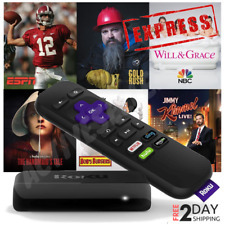 It’s easy to get started, just plug it into your TV with the included high speed HDMI cable, connect to the Internet, and start streaming. Supported Video format: RM, RMVB, AVI, DIVX, MKV, MOV, HDMOV, MP4, M4V, PMP, AVC, FLV, VOB, MPG, DAT, MPEG, TS, TP, M2TS, WMV (H.264, H.263, WMV9/VC-1, MPEG1/2/4). Video System: CVBS (PAL/NTSC), YPbPr (720P), HDMI (1080P). Audio: MP3, WMA, WAV. USB 2.0 interface. 3.5 mm audio output. Digital Voice recorder. Plays music, videos and pictures. User Manual. Video: AVI, 3GP, FLV. Also subject to change especially during peak periods. [HiFi Lossless Sound Quality]. In addition, it supports various formats, supports TF Card read and play up to 64GB. With its multiple functions, this digital Player is your first choice to enjoy music, video, e-book, picture browsing, FM radio, recording and more. Super Error Correction. Coaxial and Video Output. Video format: RM, RMVB, AVI, DIVX, MKV, MOV, HDMOV, MP4, M4V, PMP, AVC, etc. Video decoding formats: RM, RMVB, AVI, DIVX, MKV, MOV, HDMOV, MP4, M4V, PMP, AVC, FLV, VOB, MPG, DAT, MPEG, TS, TP, M2TS, WMV, (H.264,H.263,WMV9/VC-1,MPEG1/2/4). Video Output: Component YPbPr, VGA, HDMI 1.3 and CVBS(AV). MP3/WMA/OGG/APE. Audio Output: Analog stereo, digital audio HDMI 1.3. Indication Light: Green Light: Working Status; Red Light: Standby Status. 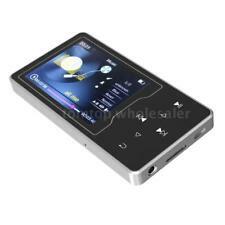 7.8" Portable DVD Player Screen Built-in Rechargeable Battery Games Rotatable FM Radio Function Black . Product type:Single Din MP5. 1 x Car MP5 Player. Support high capacity TF card. Support MP3 / WMA / WMV / OGG / APE / ACC / FLAC / audio file format. Bluetooth 2.0, support hands-free calls. Bluetooth type:6905. Qfx All Region Code Free DVD Player USB /AVI/MP3/VCD/CD/CD-R Playback VP-109. Super Error Correction. Slow Motion and Step Playback. Coaxial and Video Output. Picture Zoom. Display (OSD). 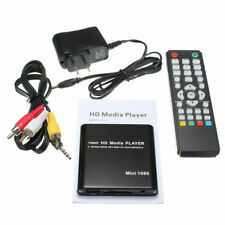 Compatible with DVD/DVD /-R/RW/R, DL, CD/CD-R/RW, DVD-Video, DVD-VR, CD-DA, MPEG-4, MP3, JPEG AC-3 Dual Decoder. Smooth Slow Motion and Advanced Zoom Features. 2.0 Channel DVD Player. Coaxial Digital Audio Output. Video: RMVB/RM (RV8/9), h.263, h.264 (MOV/M4V), MPEG-1/2 (VOB), MPEG-4 (XVID / DIVX), WMV7 / VC-1, MKV, AVI, TS/TP, VOB, PMP, FLV. Audio: MP3, WMA, AFE, FLAC, OGG, APE, AAC, AC3 AND DTS music format. Resolution: 1920×1080(Full HD 1080p). Type: 2 Din. Mirror link: Android Car Player can mirror link with Android phone by USB cable. Audio signal will be transported by Bluetooth. (Note: This function is only for Android phone, not for IOS phone.). Audio Format Support: MP3, WMA, WAV, RM, OGG, AAC, M4A, FLAC, APE; Audio Codecs: MP3, WMA, WAV, OGG, AAC, FLAC, APE, PCM, DTS, AC3, RA, AMR. Powerful 1080p Video Player: MKV, AVI, MP4, MOV, XVID, TS, M2TS, RM, RMVB, DAT, MPG, MPEG, VOB. Trending at $121.50eBay determines this price through a machine learned model of the product's sale prices within the last 90 days. Want to start streaming?. then start here. Our next generation player is now 5x more powerful. Use the remote to search for your favorite shows and discover channels. - Easy HD streaming, incredible price and Power consumption is less than 2.2W (typical) when streaming. ( Rich video output interfaces, the real digital HDMI1.3 interfaces, YPrPb, AV. Support video format: Real (RMVB, RM 1920 1080), H.264 (MKV, MOV, AVI 1280 768), MPEG1-2-4 (DAT, VOB, AVi, 1920 1080), WMV9/VC-1 1920 1080, H.264 (AVI), DIVX 1920 1080). You now have all the options you need for recording your favorite movies, TV shows, or life video from an analog video source onto your computer. Note 1: You need to buy Video and Audio cable, and S-Video cable to connect the USB Video Capture with your analog video device. Your understanding and acceptance of this policy is appreciated. Video: RMVB/RM (RV8/9), h.263, h.264 (MOV/M4V), MPEG-1/2 (VOB), MPEG-4 (XVID / DIVX), WMV7 / VC-1, MKV, AVI, TS/TP, VOB, PMP, FLV. 1080P HDMI Media Player with Optical Audio output. Supported both Windows and MAC OS - we have tested successfully with 64bit Windows 8.1 win10 and MAC OS 10.8.5 (Mountain Lion), 10.9.5 (Maverics) and 10.10 (Yosemite). Now you can capture your favorite movies,TV shows,or life video from an analog video source.